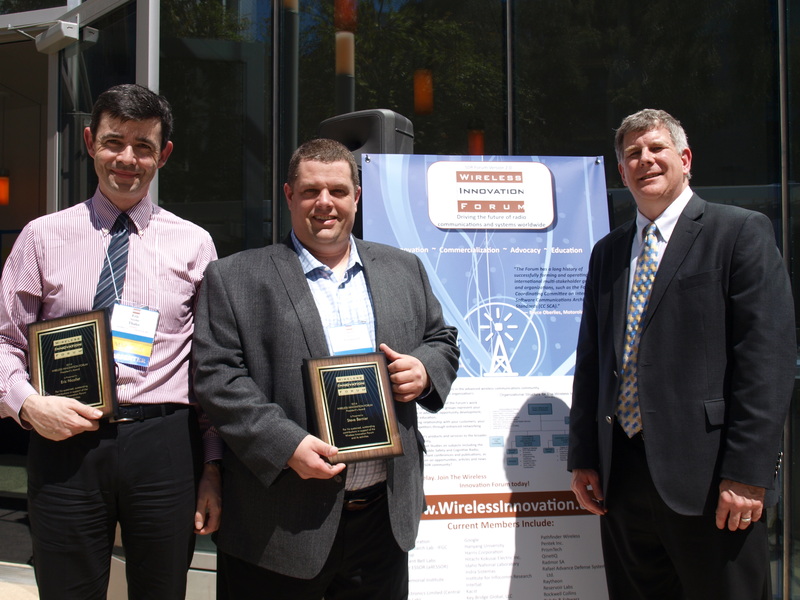 The Wireless Innovation Forum's President’s Award is presented to individuals in recognition of their sustained outstanding contributions in support of the Wireless Innovation Forum and its activities. The recipients of this year’s Forum President’s Award are Steve Bernier of NordiaSoft and Eric Nicollet of Thales. Both Steve and Eric have been active members in the Forum participating in work group activities to improve global Software Communications Architecture. In the past year, they have led the Forum’s activities to develop technical solutions in multiple areas for the SCA 4.1 standard. Their efforts resulted in the Forum developing six recommendations and two specifications for JTNC’s consideration for the SCA 4.1 standard. These contributions harmonize and improve prior work from JTNC and ESSOR into a single converged solution. Their merits are for significant impacts on the organization and work products of the Forum.